Today we're announcing that we have decided to shut down OLPC News. That means we'll stop publishing new content but we won't take the site offline. In retrospective this is something that I should have done six months ago when Wayan first brought this up. Or at the very least I should have simply used my Happy New Year from OLPC News post to do so because reading through it now it actually says almost everything I'd want to say in a goodbye post. So rather than repeat myself, my next thought was to take you on a quick trip down memory lane into how I got started on this rollercoaster ride with OLPC News and OLPC 7 ½ years ago. However 100 words in I realized that I was about to really repeat myself because I wrote all that up 2 ½ years ago when I formally took over the site and announced the Post-Wayan Era. As such all that really remains to be said here is to thank all those who made OLPC happen (else, we would have had nothing to write about) and everyone who contributed to, commented (and yes, that also includes you Mephisto), shared, and read OLPC News and for making the past 7 years here such an amazing experience. Looking at Google Analytics shows that we've had more than 2.2 million unique visitors and over 7.3 million pageviews since the site was launched. Including Wayan's Goodbye One Laptop per Child, OLPC Association's reply to it, and this final piece we'll have published 1842 articles which received a total of more than 16,000 comments. Aside of all these numbers I think it's fair to say that OLPC News has had a significant impact on the discussions around OLPC and within the wider ICT for Education (ICT4E) community (though I'm well aware that there's a range of opinions on whether that impact was positive or negative;-). 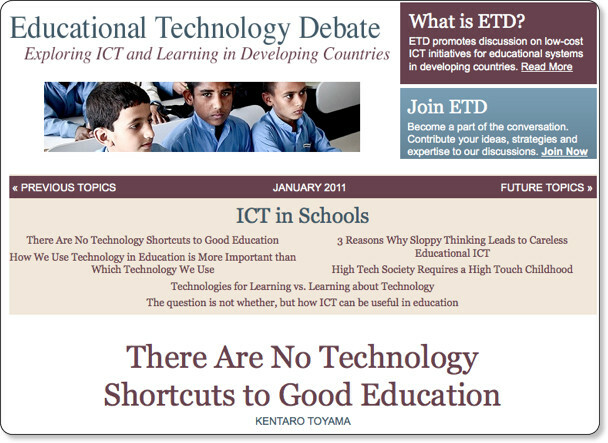 The core challenge that drives me remains figuring out how to integrate information and communication technologies in education in developing countries. So while I will definitely remain part of the olpc community, I'll also continue to explore other approaches to improve learning with the support of technology. Given how much I enjoy writing you also shouldn't be surprised to stumble across the occasional post by yours truly on one or another ICT4E outlet. Especially since I strongly believe that the larger ICT4E world can still learn a lot from the aggregated experiences around OLPC and thereby avoid what Alan Kay once called "re-inventing the flat tire". If you want to keep in touch please feel free to e-mail me at [email protected], keep an eye out for the occasional post on my personal blog or simply follow me on Google+ or Twitter. Resumen en español: Hoy estamos anunciando que hemos decidido cerrar OLPC News. En retrospectiva esto es algo que debería haber hecho hace seis meses, cuando Wayan por primera vez lo sugirió. O por lo menos debería haber simplemente usado mi Feliz Año Nuevo de OLPC NEWS articulo para hacerlo ya que lo leo ahora realmente dice casi todo lo que me gustaría decir en un post de despedida. Así que en lugar de repetir a mí mismo mi siguiente pensamiento fue que le llevará en un viaje rápido como me inicié en este viaje con OLPC News y OLPC hace 7 años y medio. Sin embargo despues de 100 palabras me di cuenta de que yo estaba a punto de realmente repetirme porque escribí todo esto hace 2 años y medio cuando tomé formalmente el sitio y anuncié la era post-Wayan. Como todo lo que realmente aún no se ha dicho aquí es como dar las gracias a todos los que hizieron posible a OLPC (sino habríamos tenido nada que escribir) y todos que contribuyeron, comentaron (y sí, eso incluye también a ti Mephisto;-), compartieron y leyeron OLPC News y para hacer los últimos 7 años aquí una experiencia increíble. El reto principal que me impulsa sigue siendo encontrar la manera de integrar las tecnologías de la información y la comunicación en la educación en los países en desarrollo. Así, mientras que sin duda seguir siendo parte de la comunidad olpc, yo también voy a seguir explorar otros enfoques para mejorar el aprendizaje con el apoyo de la tecnología. Teniendo en cuenta lo mucho que me gusta escribir también no debe sorprenderse de tropezar con un mensaje mio en una o en otra publicacion sobre ICT4E. Sobre todo porque creo firmemente que el mundo ICT4E todavía puede aprender mucho de las experiencias globales alrededor OLPC y así evitar lo que Alan Kay una vez llamó "volver a inventar la rueda pinchada". Si desea mantenerse en contacto por favor no dude en enviarme un correo electrónico a [email protected], mantener un ojo hacia fuera para el puesto ocassional en mi blog personal o simplemente seguirme en Google+ o Twitter. While the One Laptop Per Child Foundation, the Boston branch of our favorite laptop project is dead, the OLPC Association, the Miami-based group focused on XO sales, jumped to life yesterday and pronounced its viability. OLPC's mission to empower the world's children through education is far from over. OLPC is thriving and making more inroads at bringing education to those who can't easily access it. OLPC recently formed a strategic alliance with the Zamora Teran family through many of their enterprises and their philanthropic foundation, the "Fundación Zamora Teran to deliver XO laptops not only to Central and South America, but also to Africa. Aside from distributing more laptops in several schools in Costa Rica, Uruguay is receiving its first 50k units of the XO-4 Touch (running Android) in a few weeks' time. In addition, the XO Tablet is currently available directly through governments and NGOs, as well as in Europe and Canada and through all major retail outlets in the United States including Walmart, Amazon, Toys 'R Us among the others. OLPC also has outsourced many of the software and development units because the organization is becoming more hardware and OS agnostic, concentrating on its core values - education. As an example, we've partnered with the Smithsonian Museum to bring feature-rich, interactive and more targeted content to our young learners. For those following along at home, the XO Tablet is interesting, I like it for the US market, but I don't see it as a developing world education solution. With the hardware now long past its life expectancy, spare parts hard to find, and zero support from the One Laptop Per Child organization, its time to face reality. The XO-1 laptop is history. Sadly, so is Sugar. Once the flagship of OLPC's creativity in redrawing the human-computer interaction, few are coding for it and new XO variants are mostly Android/Gnome+Fedora dual boots. Continue reading Goodbye One Laptop per Child. 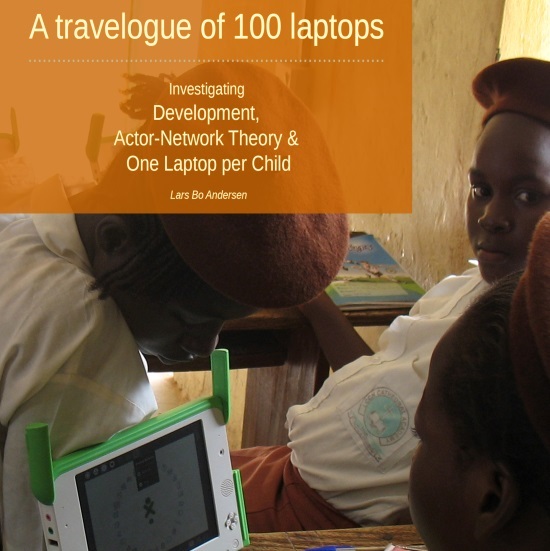 Continue reading A PhD Thesis About OLPC Asks: What are we doing? What are we bringing?. 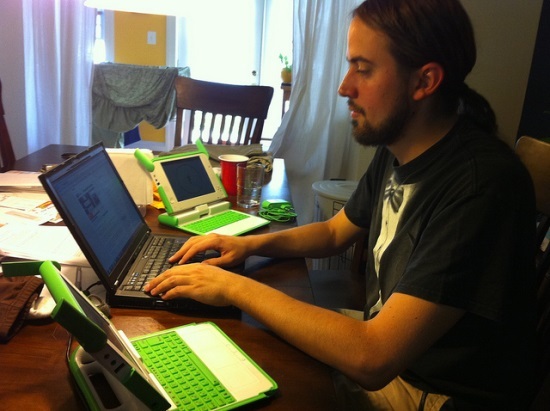 Ahead of next week's Consumer Electronic Show in Las Vegas - an event which OLPC Association has repeatedly used for making announcements in recent years - Brad Linder from liliputing.com reports that OLPC Association and Vivitar will release a slightly updated version of the 7" XO Tablet. Additionally they will add a 10" version of the XO Tablet to the lineup. Brad's article says that the updated 7" XO Tablet is expected to cost $150 whereas the 10" version should cost $200. There's no information on when these new tablets will become available and if they'll also be available outside of the United States. 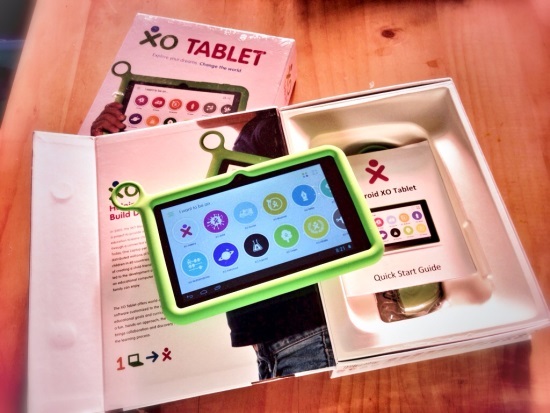 Continue reading OLPC Upgrades 7" XO Tablet and Adds 10" Version. As I sit here and go through our posts from 2013 instead of getting ready for tonight's celebrations I can't shake one thought from my head: It's been a weird year when it comes to One Laptop per Child. And no, I don't mean that it's been a year in which nothing happened. However as you can tell from the low quantity of posts - in the past 12 months we've published only about two dozen articles - there haven't been too many things that got me excited enough to start writing about them. The reality is that much of what has happened has been somewhat depressing. 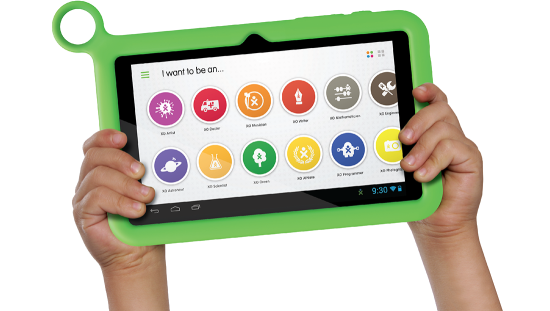 Even though many people within the global olpc community have denied it for much of the year it's now become painfully obvious that OLPC as an organization is very different today then it was back in 2012 in earlier. Of course different doesn't automatically mean worse but personally I can neither get excited about nor much believe in the value of the XO Tablet which is what OLPC Association in Miami largely focused on in 2013. Continue reading Happy New Year from OLPC News. The summit will be held at San Francisco State University's downtown campus at 5th & Market (835 Market St.) San Francisco. 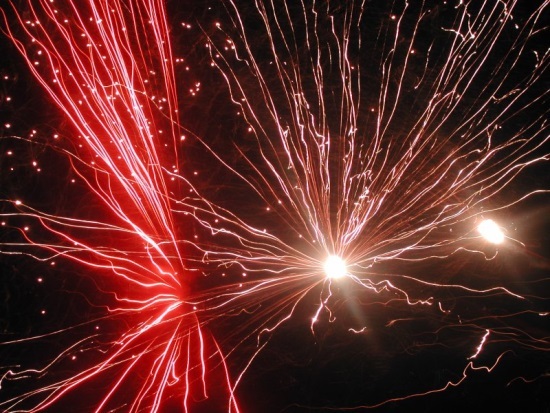 We will be opening a call for proposals, posters, speedgeek, and such in a few days. We begin on Friday, Oct 18th with a welcome reception and wrap up on Sunday, Oct 20th with a closing party. On behalf of the OLPC San Francisco volunteer community and our hosts at San Francisco State University, I invite you to the summit. Let's get together, so we may walk far. 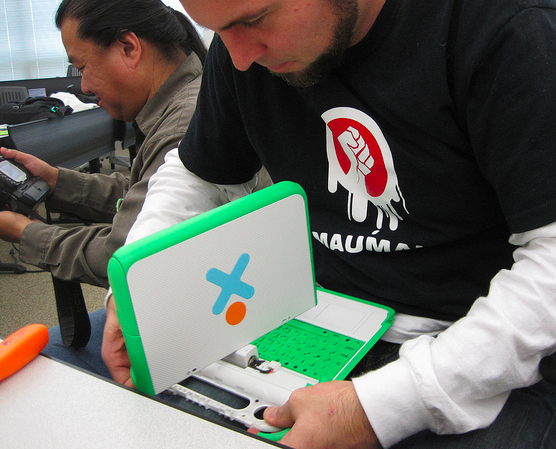 Continue reading Walking far: OLPC San Francisco Community Summit 2013. Continue reading The XO Tablet - A First Impression in 750 Words.